Recorded live at the New Wine worship events, this live album is a powerful collection of songs including Reckless Love and Stir A Passion. Looking for powerful new live music? Integrity Music are thrilled to announce the latest live worship album from New Wine Worship. Set to release this Summer it was recorded around the country and features worship leaders Nick Herbert Lauren Harris and more. It will include the big songs Stir A Passion Reckless Love Nothing But Grace and many more. 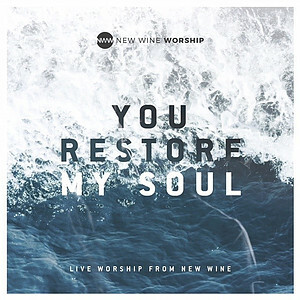 You Restore My Soul by New Wine Worship was published by Integrity Music in July 2018 and is our 1788th best seller. The ISBN for You Restore My Soul is 0000768714027. Be the first to review You Restore My Soul! Take a peek at some articles related to You Restore My Soul. Got a question? No problem! Just click here to ask us about You Restore My Soul. Now Playing: Pray Feat Nick Herbert) Your browser does not support the audio element.